The key to under-sealing any vehicle whether it’s a car, van or motorhome is attention to detail. 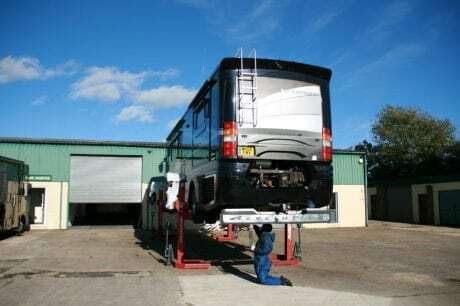 We give your motorhome a thorough inspection and assessment. To do this we need to give the underside of your motorhome a good clean, removing all dirt and loose rust or flaking underseal/paint. Any plastic trim and covers are carefully removed at this point to gain access to the areas behind – which are often secretly harbouring months, if not years of mud and salt accumulation! We are looking out for any rust pockets that may be under the motorhome. We need to ensure that the new underseal has very clean surface to be applied to. All “non sprayed areas” like the brakes and exhaust are carefully masked up before we start the coating process. 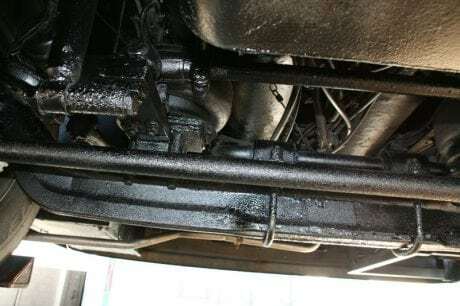 Then we spray a thick layer of a durable, black, rust inhibiting underseal known as “Schutz underbody treatment” to the underside of your motorhome. Once dry we then re-inspect the underside of the motorhome to ensure that a thick even layer has been applied.